Posted On February 23, 2015 by Team iCynosure. Everyone today is tight on budgets, wanting to save as much as one can. Discount coupons thus are a good sent gift that directly help you save while you are busy spending. 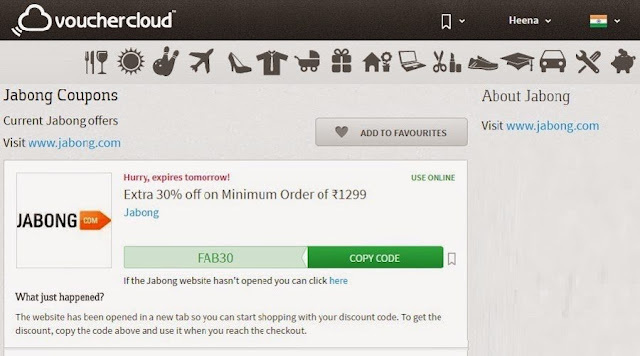 One such amazing site that’s come to wow the Indian Shopper is VoucherCloud, which delivers the best local deals straight to you, whenever and wherever you like. You can use our coupon codes or visit the sales for online shopping, or print coupons to use in-store. 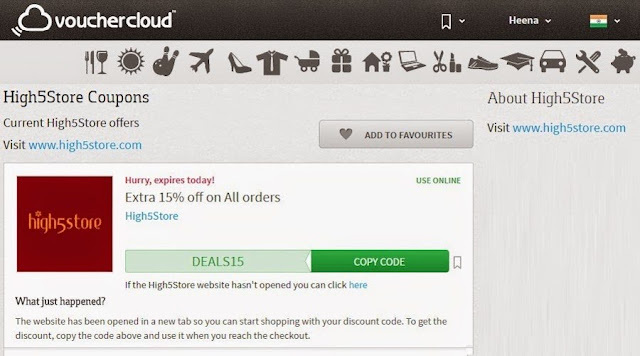 In the last few years, VoucherCloud has helped shoppers in 16 countries save thousands of rupees. Simply click on a deal that you’re interested in and it will take you to the merchant site in a new tab to explore product options, add to cart and finally shop. Ensure you check the Terms and Conditions to know exactly what the hidden terms are, if any. Surfing through the Women’s Fashion Deals, I landed on High5Street to get a gorgeous ethnic outfit for the ongoing wedding season. With a flat 15% discount I managed to bag a stunning cream georgette embroidered ankle length anarkali suit for a little over INR 1200. Next up was Jabong from where I purchased a much-needed white shirt and a party clutch. Embracing my favorite colours black and white I loaded the cart to enjoy a good 30% off amounting to INR 855. 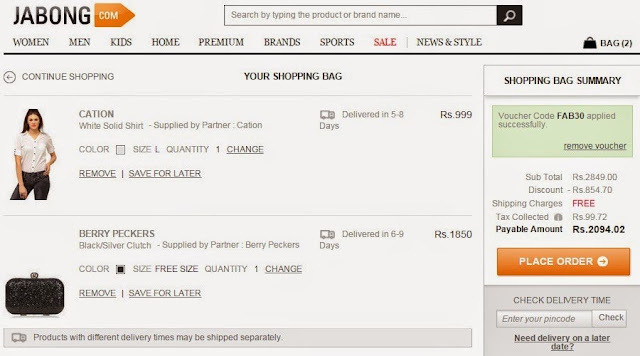 In short I bagged products worth INR 2849 for INR 2095. My personal experience with the portal has been extremely positive with exciting deals and offers at my disposal. What I really loved about them is the feature that you can save a deal or offer for future use if you don’t want to use it on the given day. One thing that really confused me was the actual difference between Get Code, Get Deal and Visit Sale. So I checked with the team and here I’m making it easier for you… Get Code is when there is a discount or offer code available that you must input on the merchant site after shopping. 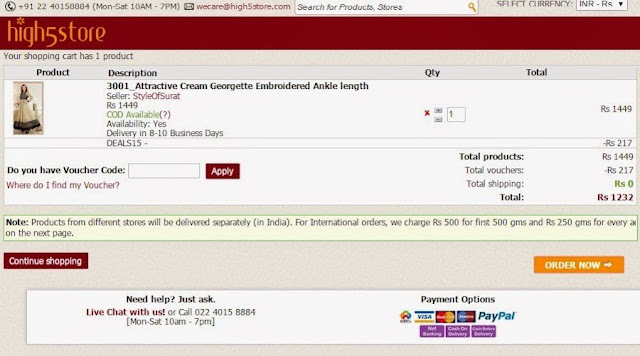 Get Deal and Visit Sale takes one to the merchant site where the discount is automatically applied when you are redirected to the site. Will I recommend the portal? Sure, Yes! Will I purchase via the portal again? Definitely! 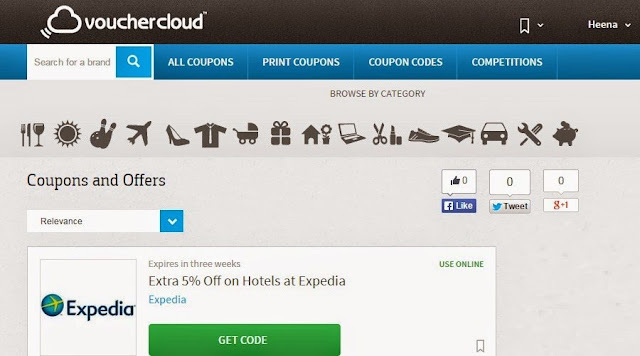 Have you ever used Coupon Codes to shop? Let me know.